Masai warrior shaping wood: People: Tanzania: Travel photography from around the world, including Cuba, Ecuador, Egypt, Germany, Greece, Guatemala, India, Italy, Japan, Mexico, Morroco, Paraguay, Siberia, Taiwan, Tanzania, and the United States. 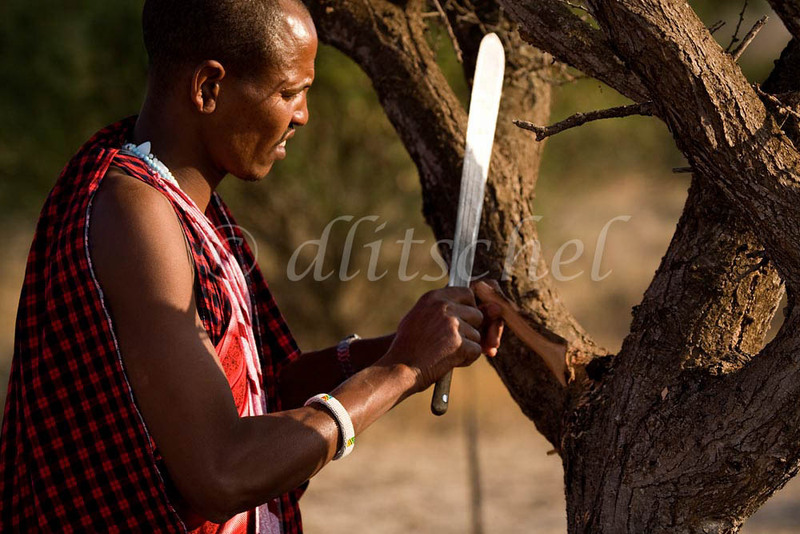 Masai warrior with machete shaping wood to use as a tool to start a fire. Sinya area of northern Tanzania. To purchase this image, please go to my stock agency click here.